The coming of the railway was a major factor contributing to the growth and settlement of the city and region. 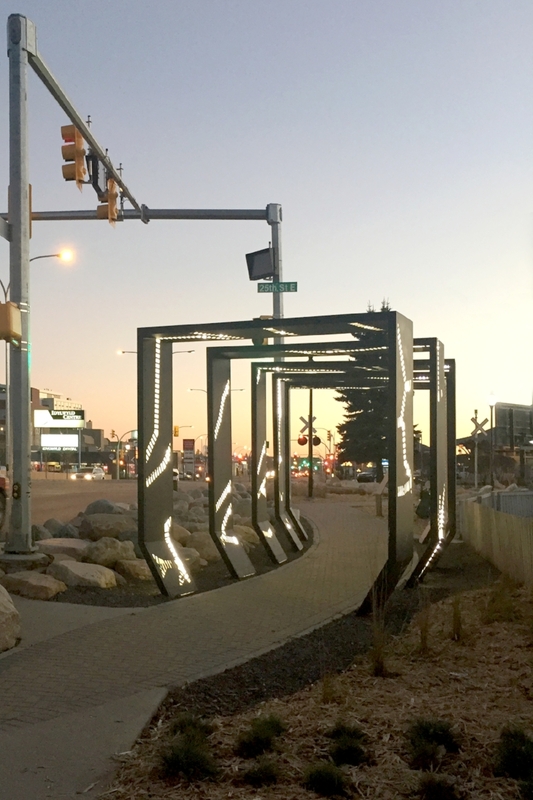 These five sculptural arbours mark this land adjacent to Saskatoon’s original train station and central train yard. Today, this arterial corridor and pedestrian space continue to be connected to an important infrastructure of Saskatoon’s past as it is still bisected by an active rail line and crossing. The perforations in the arbours depict a map of Saskatchewan from 1932 showing the Canadian National Railway and the Canadian Pacific Railway lines which connected towns and cities throughout the Saskatchewan prairies. 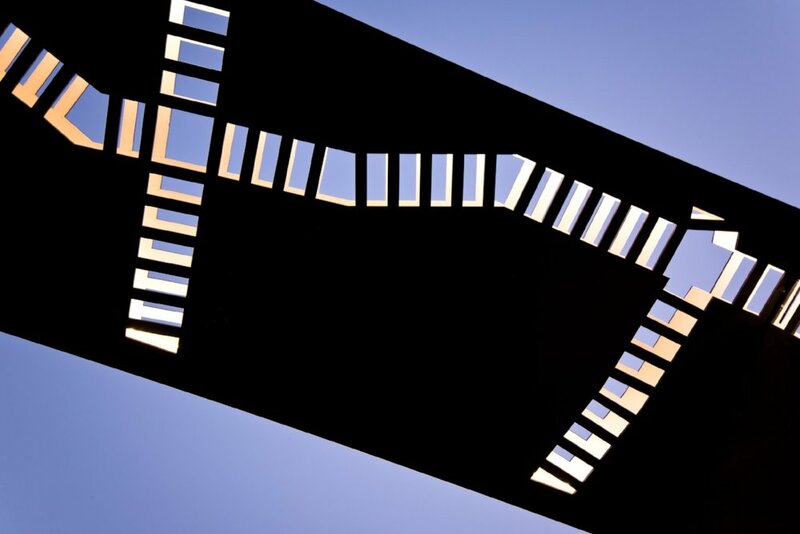 The frame of the arbours alludes to the sectional profile of a train. 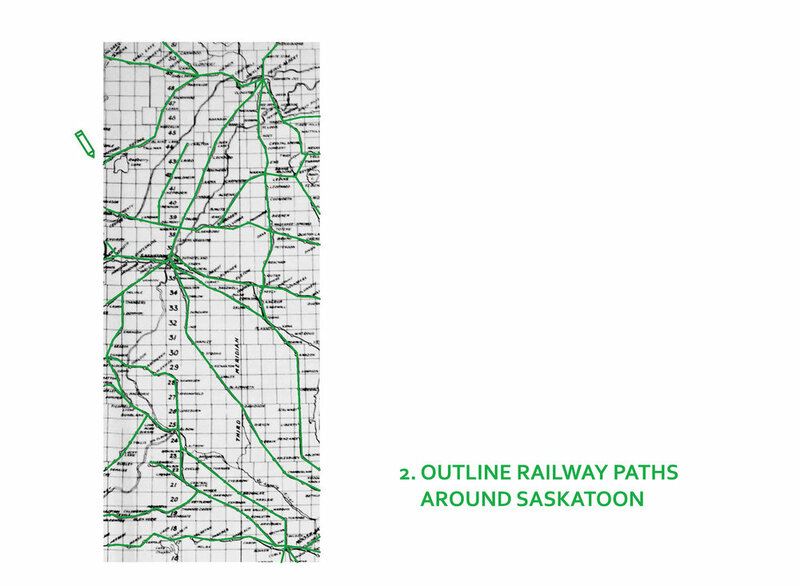 The 1930’s map of the CN and CP rail lines was graphically abstracted and divided between the five arbours.